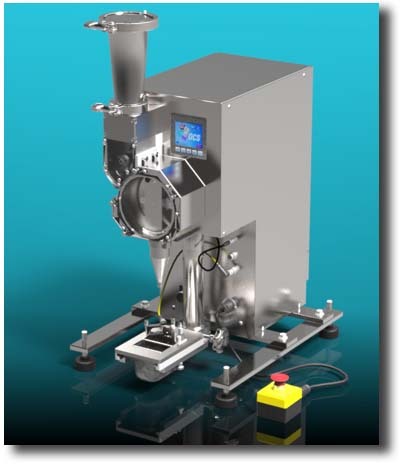 All Kinematics’ powder fillers are volumetric fillers. 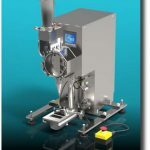 The filling guns employed with the Model 4400/VC manual powder filler, and the shuttle disks which are part of the Model 4400/TX and the 5500/TX bench-top fillers, merely provide convenient means for measuring, and dispensing the dry product. 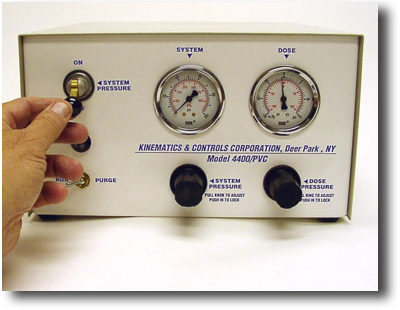 These calibrated chambers are filled with dry product by a vacuum action which compacts each charge at a controlled, even density. 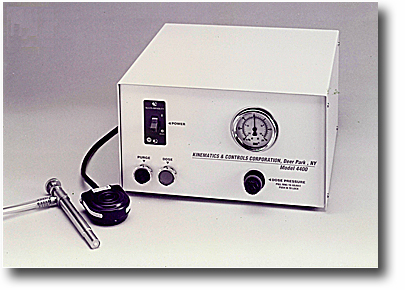 Replacing the vacuum with low, positive pressure air dispenses a precise dose. 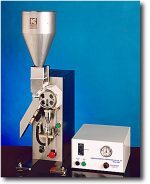 Because the vacuum force compacts the product at a controlled density, the weight of each dose maintains a close relationship to its volume. 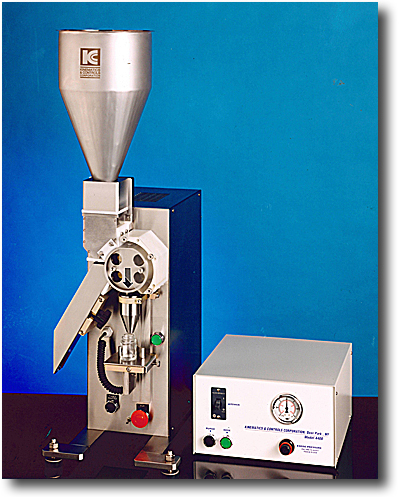 Accurate/Repeatable Dose Weights of up to 180 gm. 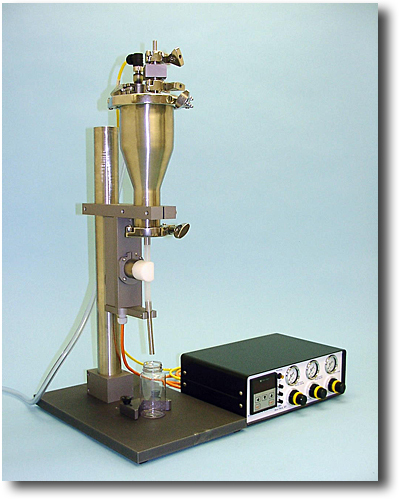 Production Rates of up to 25 Fills/Min.